Thought this was a cute shot of Izzy Arata and Davis. Too cute. 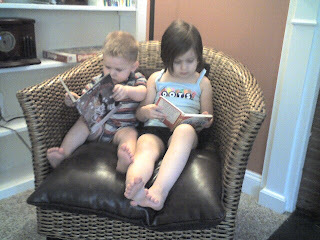 2 non-reading kids reading together. It's the thought that counts.